I listen when I’m doing something else. Walking to work, driving, cooking, cleaning. Sometimes I listen on double speed, especially to talk or interview shows, which I’m a little embarrassed to admit. I listen to a ton of podcasts. I guess it’s kind of my job. And I like them for different reasons. Some of the more produced ones, like the ones we make, can really transport you, make you feel like you’ve entered a different world. I’m really digging a couple of our more recent launches: The Nod, a smart and funny celebration of black life and culture; The Pitch, a show where real founders pitch real investors for real money in real time; and Mogul, a podcast history of hip-hop, told through the life and death of one powerful, fascinating, and enigmatic person. Other new(ish) shows I love that we don’t make: Another Round; LeVar Burton Reads; Ear Hustle; Terrible, Thanks for Asking. And then of course my old favs: Radiolab, More Perfect, Planet Money, and everything in the This American Life/Serial universe. There’s this episode of Terrible, Thanks for Asking that I think everyone should listen to: Semper Fi. The host, Nora McInerny goes to a marine corp reunion in Houston to interview her father’s old war buddies, hoping to learn more about her father. The writing is beautiful and moving, and she actually discovers a lot about her father’s past-- stuff he never told her, but which ends up meaning a lot to her. Also, I loved the last episode of S*Town. I thought it was beautiful. And if I could put a plug for Mogul in here… the last two episodes of that series were just masterfully done. Pretty amazing stuff. Alex is the CEO and cofounder of Gimlet Media. He is an award-winning radio journalist having won every major award in journalism including the Polk, the duPont-Columbia, and the Peabody. 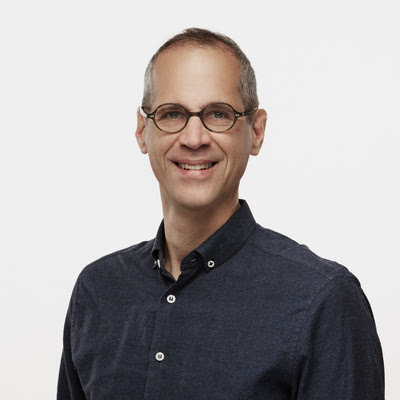 Prior to Gimlet, he was a producer for This American Life, the co-founder of Planet Money, and an executive producer on Showtime’s This American Life TV series, for which he won three Emmys.